Hi, HumorActive is doing a brand new stand-up comedy show at a brand new venue Café 90’s Club on Saturday, 22nd September 2018 from 7:30 PM onwards. The show is hosted by Pushan Brahmachari and features a great line-up comprising of Shubham Upadhyay, Akshat Jain, Siddhant Gupta and Yogi Soni. 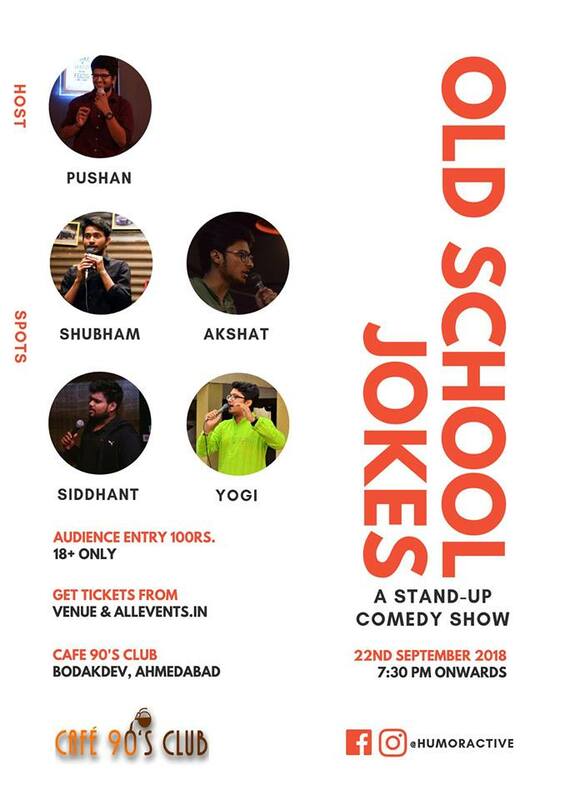 If you’re still reading this, follow HumorActive, Mic-Testing and YouComedy on Facebook and Instagram for more events like this and support the live comedy scene in Ahmedabad. Ok? You’re awesome.